TOKYO – Mitsubishi Motor Corp.'s operating profit tumbled 81 percent in the latest quarter, hit by falling sales, foreign exchange rate losses and costs from a fuel economy scandal. Operating profit dropped to 8.4 billion yen ($72.0 million) in the Japanese automaker’s fiscal third quarter ended Dec. 31, from 43.6 billion yen ($373.5 million) a year earlier. Net income fell 74 percent to 6.3 billion yen ($54.0 million) in the three months, Executive Vice President and CFO Koji Ikeya said, while announcing financial results on Tuesday. Revenue slid 19 percent to 476.9 billion yen ($4.09 billion), as global retail sales declined 11 percent to 237,000 vehicles in the fiscal third quarter. Mitsubishi’s operating profit was undercut by falling sales in every market except Japan, where volume only inched ahead, and North America, where sales remained flat from the year before. Foreign exchange rate losses lopped 26.2 billion yen ($224.5 million) off the company’s quarterly operating profit. Mitsubishi also took a charge 7.6 billion yen ($65.1 million) in the quarter to cover costs associated with improper fuel economy testing of vehicles sold in the domestic market. 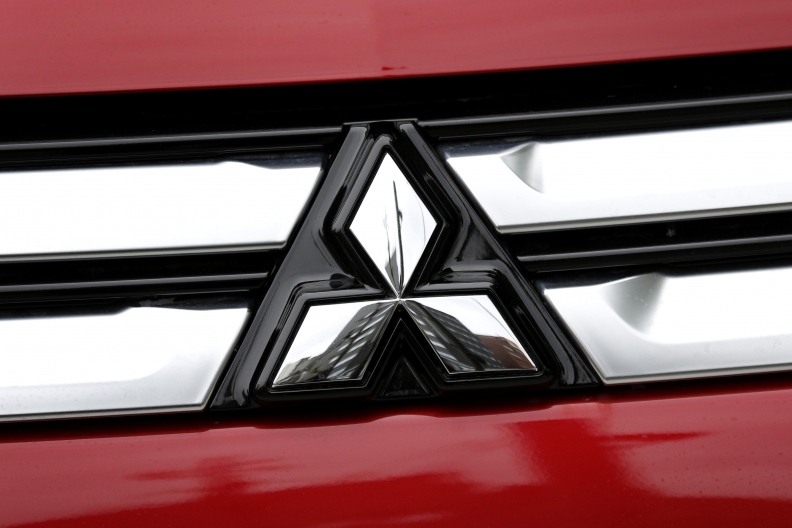 Mitsubishi admitted last year to cheating on fuel-economy ratings for several nameplates sold in Japan. The scandal opened the door for Nissan Motor Co. to take a controlling 34 percent stake in its smaller Japanese rival last autumn. Ikeya said Mitsubishi is already adopting some streamlined management strategies from its new alliance partner, which contributed positively to the third-quarter earnings. Mitsubishi’s North American business slid to a 7.3 billion yen ($62.5 million) operating loss in the fiscal third quarter, from a 2.9 billion yen ($24.8 million) operating profit the year before. Regional volume stood unchanged at 32,000 vehicles in the three months, while U.S. sales dipped to 22,000 units, from 23,000 a year earlier. North America is Mitsubishi’s second-smallest market, after the home market of Japan. Ikeya said Mitsubishi is still grappling with the uncertainty of trade and tax policy changers under new U.S. President Donald Trump. But Mitsubishi has no plans to withdraw from the market, he said. Instead, it plans to increase sales there. Europe also slumped to an operating loss of 3.6 billion yen ($30.8 million) in the period, compared with a 7.1 billion yen ($60.8 million) operating profit a year earlier. European sales fell 21 percent to 42,000 units. For the current full fiscal year ending March 31, Mitsubishi expects the North American operating loss to expand to 13.0 billion yen ($111.4 million), reversing last year’s 6.2 billion yen ($53.1 million) operating profit. U.S. sales are seen climbing to 103,000 units, from 97,000, lifted largely by the Outlander crossover.